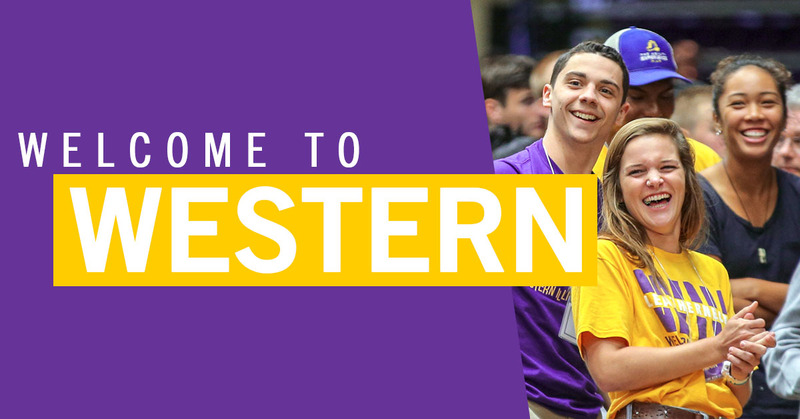 MACOMB/MOLINE, IL -- Discover your future Western Illinois University by attending a Discover Western open house, which provides prospective students the opportunity to tour campus, meet with academic and student services staff, talk to current WIU students and more. Students who apply on-site for admission will have the $30 application fee waived. Reservations may be made by visiting wiu.edu/discoverwestern. In addition to the application fee waiver at the Discover Western programs, the $30 fee will also be waived for local students, as well as those prospective students who visit campus to meet with an admissions counselor, take a general campus tour and other admissions-related programs. Prospective students must apply on-site for the waiver. New for qualified freshmen entering WIU in Fall 2019 is the Western Promise Plus, which is designed to significantly reduce or offset tuition and fees, PLUS other costs – room, meal plan, books and course materials. Illinois students with a minimum of a 1060 SAT or 21 ACT and a 2.75 high school GPA on a 4.0 scale qualify for the Western Promise Plus. Students will also benefit from Western's unique Cost Guarantee that locks in tuition, fees, room and meal plan rates for four years, and qualified students can receive an automatic Western Commitment scholarship, which is renewable all four years at WIU. For more information, contact Admissions at (877) PICK WIU (742-5948) or admissions@wiu.edu.